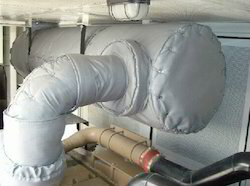 Prominent & Leading Manufacturer from Vadodara, we offer insulation jacketed pipe, band heater jacket, pipe bend removable insulation jacket, reusable insulation jacket, removable insulation jacket and pipe system removable insulation jacket. 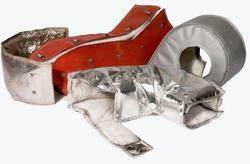 We are instrumental in offering a quality range of Insulation Jacketed Pipe to the customers. Max withstanding temperature 120 - 550 deg. cent. To fulfill the requirements of our huge client’s base spread across the nation, we are engaged in offering a huge array of Band Heater Jacket. 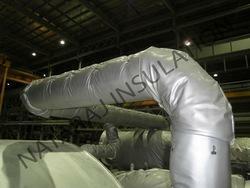 We are instrumental in offering a quality range of Pipe Bend Removable Insulation Jacket to the customers. Backed by rich industry experience, we are engaged in offering Reusable Insulation Jacket to the esteemed customers. 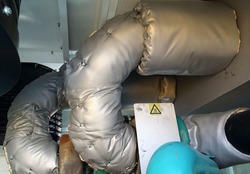 We offer Removable Insulation Jacket to our clients.